A suspect is dead after exchanging gunfire with police in South Philadelphia this morning, 8/9. It started just after 11 a.m. on the 1900 block of Woodstock Street. Two officers confronted a 48-year-old man on a bicycle who they thought was carrying a weapon. As they approached, the man ditched the bike and ran. One of the officers pursued him on foot down 20th Street. The suspect and officer exchanged fire while on foot. The suspect went down at one point but got up and continued running. The suspect encountered another pair of officers in a patrol car at 20th and Snyder and opened fired on the cruiser. Those officers returned fire and the suspect collapsed. He was taken to Penn Presbyterian Hospital and pronounced dead. 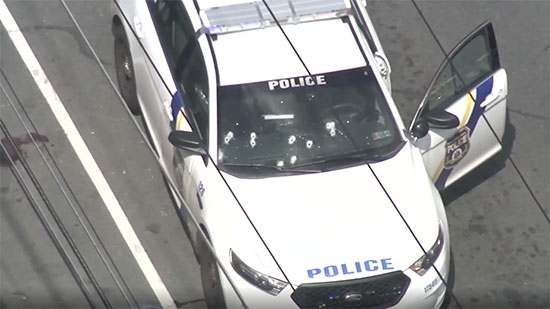 The windshield of the police cruiser was riddled with bullets. No officers were harmed. A man was stabbed to death on a train platform inside SEPTA's Jefferson Station in Center City early Thursday morning, 8/9. It happened around 3:15 a.m. on platform 1B at the station located below 10th and Filbert Streets. The unidentified victim was stabbed multiple times. He was taken to the hospital where he later died. The suspect is described as a heavy-set black male, wearing a white T-shirt, blue jeans, and red sneakers. He was carrying a dark-colored backpack. Two people were killed, including a popular rapper, and 4 others were injured in a drive-by shooting in North Philadelphia on Wednesday night, 8/8. It happened just before 10 p.m. near North 12th and West Huntingdon Streets. A person in a gray or silver van opened fire on a crowd of people standing on the corner. The shooter used a rifle to shoot at least 11 shots into the group. 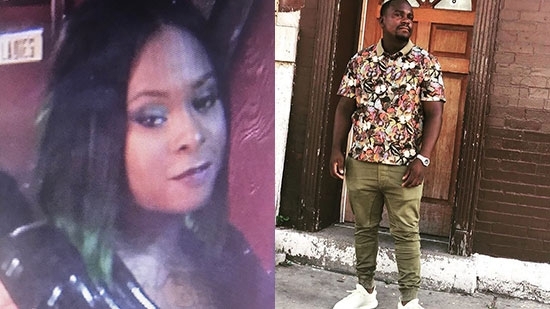 34-year-old Niesha Cooper and 32-year-old Averill Davenport were both killed by gunshots to the chest. Davenport is a rapper who goes by the name of General Reezy. Philadelphia Police Commissioner Richard Ross said, "The big issue is someone is so brazen to fire that many rounds in a crowd without regard for life whatsoever.” Anyone with any information is asked to call police at 215-686-TIPS.